8 artists gathered in Hasuda, east central of Saitama Prefecture are brilliantly showing unprecedent arts. They are produced one by one by hand. Each of them is marked as only one product existing in the world, being supported by a lot of enthusiastic fans. They are about to take aff throughout the world. Furniture fabrication is made on the basis of the drawings given in the paper in millimeter unit where the job is precisely formed in a three-dimensional manner. Materials are all prepared by himself and processed by himself looking at the drawings. Hence the finish subtly differes by craftsman. That's why difficulties and funs exist in the job. 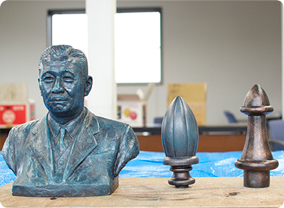 Bronze statue restoration necessitates a firm technique based on experience and achivement. Painting and polishing techniques used for the finishing process of forged products are highly made good use of for the restoration. The restoration is not only involved with the statue itself but also with reviving momery of the customer including shapes in the memory, which is the most important point. 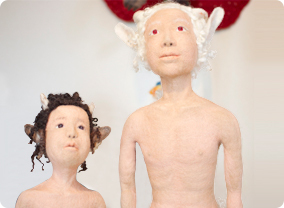 I want to have the Needle Felting take off from the range of handicraft. My mission is to embody the images I get inside and dispatch globally the unique view of the world which is full of reality. 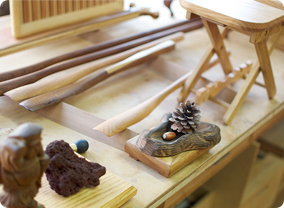 Atelier Daigoro presents products entirely made to order in accordance with customers' requests. There are some high grade products requiring more than a month for completion of fabrication. Therefore I tackle with all items with sincerety so that customers may be able to enjoy with them for a long time. 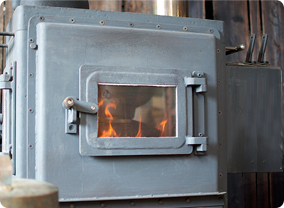 The stove material comes from machine tools which are possibly to be scrapped, sold overseas or melted in the furnice. 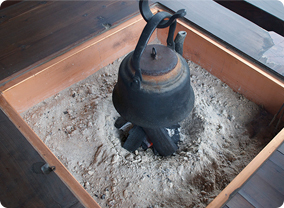 SOWA's skills dependent on experience and imaging power have made such materials regain life as a wood stove. 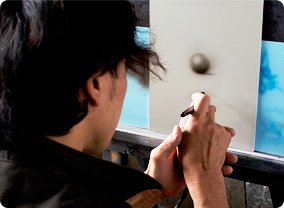 Anyone may be able to use the spray gun that is to be used when drawing something if he or she understands the basic matters of the equipment. However it is necessary to have ability to well handle the equipment and to nicely arrange colors. These 2 abilities can be attained only by daily training. 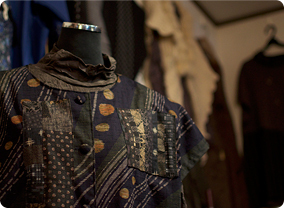 I liked making clothes from childhood, devoting myself to making every day from morning to evening. The sewing machine came down from my mother was excessively used and the motor experienced generating smoke. There is a world emerged from making clothes to such an extent.